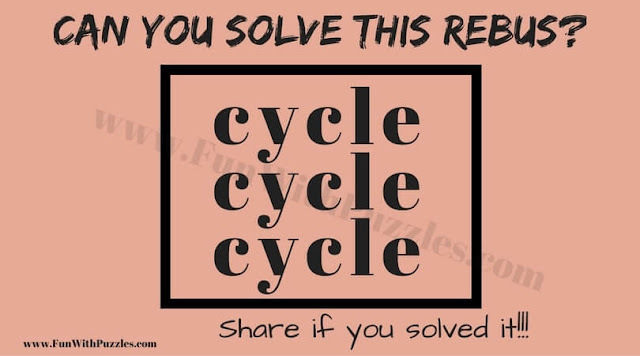 Rebus Riddles are very interesting type of puzzles in which one has to find the hidden meaning in the given picture puzzle image. This hidden meaning can be anything from a simple word to English phrase or English Idiom. 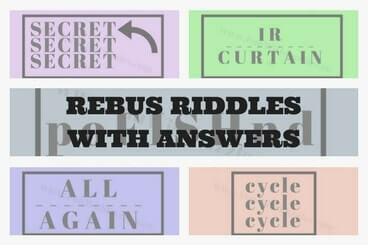 Last month we have published many different types rebus riddles. Here is some more additions to these rebus riddles. In these Rebus Riddles some pictures are given. These picture represents the hidden meaning. You challenge is to find these hidden meanings in each of these picture puzzle images. 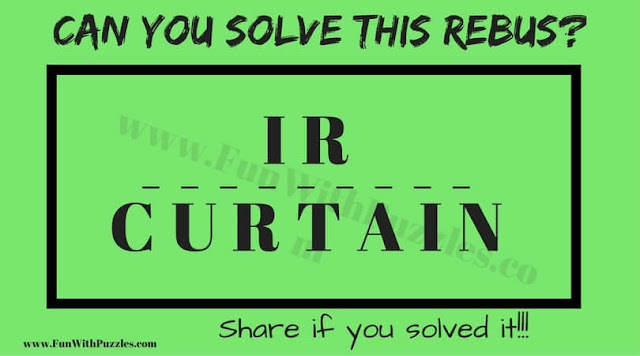 Answer of these Rebus Riddles are given at the end of this post. 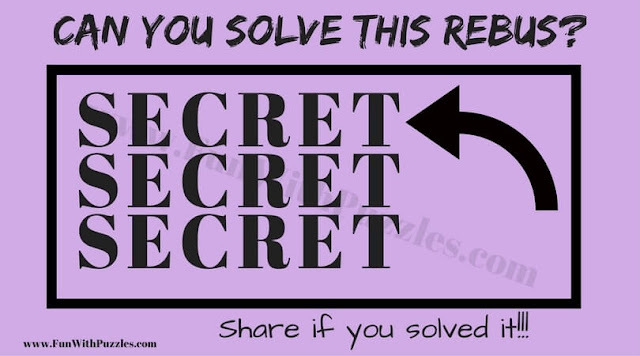 Lets see how many of these Riddles you can solve without looking at the answers? 2. What is hidden meaning of this rebus? 3. 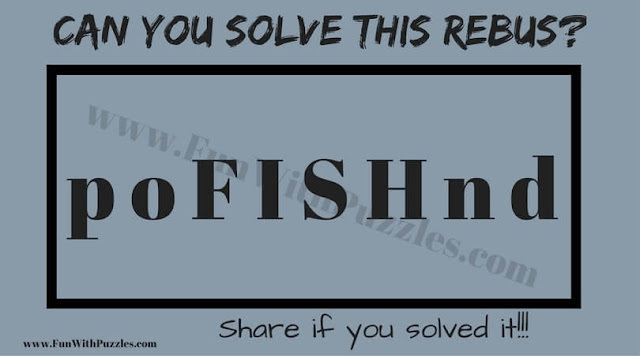 Try finding the hidden meaning of this rebus puzzle. 4. What hidden meaning this rebus puzzle tells? 5. What is the meaning of this rebus riddle? You can checkout more puzzles for further twisting your mind. 1. Can you find hidden country names? : It contains very interesting brain teasers in which some sentences are given which contains name of one country hidden. Your challenge is find out this country name hidden in each of the brain teaser. 2. 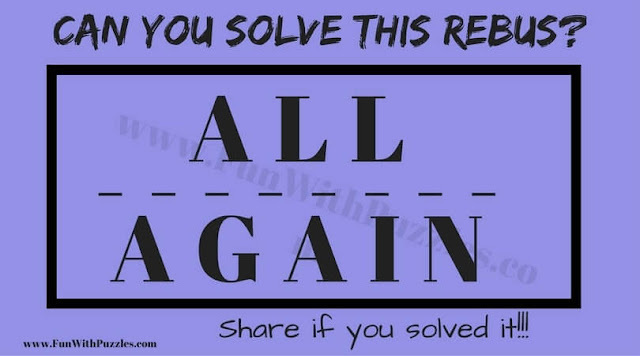 Fun Word Brain Teasers with Answers to Challenge your Mind: If you are interesting in English Word Brain Teasers then you should definitely be checking out these puzzle as it contains different English Word Brain Teasers in which one has to guess the name of the English word. 3. Non Verbal Reasoning Test with Answers: It contains the mix of the different types of brain teasers which contains Mathematical Brain Teasers, Logical Brain Teasers as well as Visual Brain Teasers. 4. Math Brain Teasers for Kids with Answers and Explanations: There are lots of Maths Brain Teaser in which one has to solve the given equations to find the values of different shapes and symbols.